Britain spending £47bn a year dealing with the healthcare and social costs of an increasingly overweight population, study finds. Britain is being urged to take immediate action after a study revealed that obesity is a greater burden on the country than armed violence, war and terrorism. The study, conducted by the McKinsey Global Institute (MGI), said the UK’s “obesity crisis” costs almost £47bn every year. It comes second only to the £57bn annual toll smoking takes on the economy, it found. Estimates on the total annual loss attributed to armed violence, war and terrorism reach £43bn. The study blamed the growing crisis on an inadequate response from the Government, branding its policy on obesity as “too fragmented to be effective”. It also warned that investment in obesity prevention was “relatively low given the scale of the problem”. The MGI insists an urgent “co-ordinated response” is needed from the Government, retailers, restaurants and food and drink manufacturers to tackle the issue, recommending a series of new measures. They include portion controls on fast food packaged goods, the introduction of healthy meals in schools and workplaces and more physical education in school curriculums. 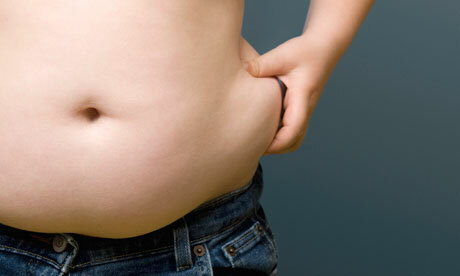 Spending on obesity prevention programmes in the UK is less than £638m a year, the MGI says. In contrast, the Government spends £6bn annually on treating conditions linked to being overweight or obese. A further £10bn is spent on diabetes, it claimed. Over 2.1 billion people worldwide are estimated to be overweight or obese. The MGI said that figure is on course to rise to almost half the world’s adult population by 2030.